Hear from the experts — Coming soon! Qigong is a 4,000 year old Chinese practice of healing which works with the body, breath, and mind. Qigong consists of flowing movements combined with deep breathing and a meditative state of mind to remove energy blockages and increase harmonious energy flow. The movements performed in Qigong stretch and strengthen the muscles and improve balance and flexibility. They involve slow rhythmic moves mirroring those found in nature, such as the lapping of water or blowing of wind. The central principle of Qigong is to feel connected with our deepest core and with the larger whole of the universe. “Qi” is the Chinese word for energy and “Gong” means cultivation or skill that is cultivated through steady practice. 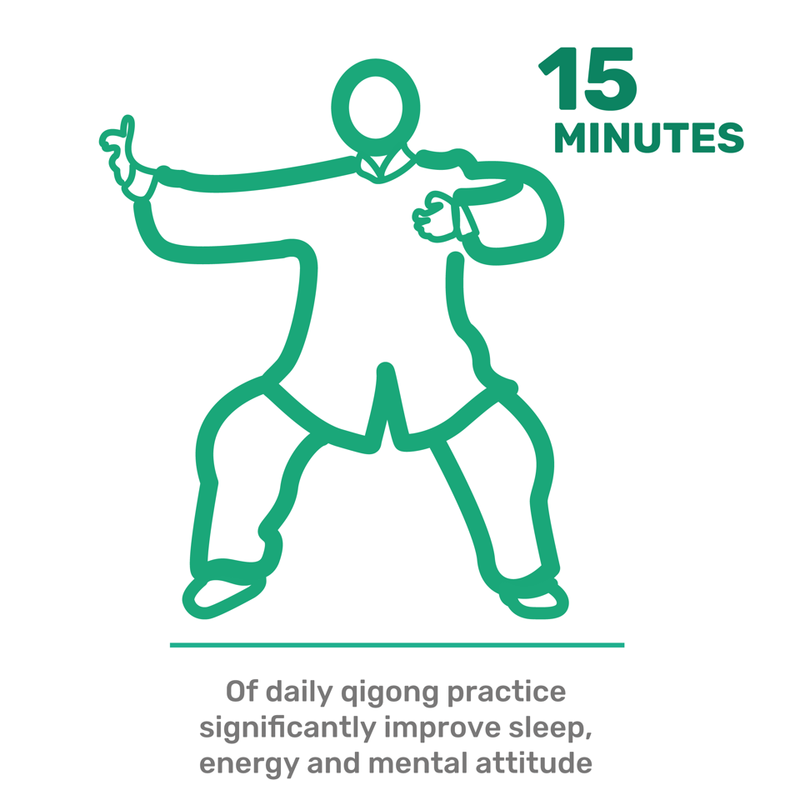 “Qigong” means “cultivating the body’s vital energy” to heal and strengthen the body and mind. The breath should be slow, deep, fine, and even. This allows our body and cells to take in more oxygen and release more carbon dioxide, which leads to many health benefits such as lowering of blood pressure, slowing the heart rate, and faster detoxification. Reverse breathing can be a useful practice before meditation. As the name suggests, it can be considered in some ways as the reverse of natural breathing. Everyone has used this type of breathing, whether consciously or not. It is the way we instinctively breathe when pushing something heavy. The breath moves vertically, up and down within the body, like a pump. Interestingly, during reverse breathing, the breath also moves horizontally, moving backwards and forwards inside the belly during exhalation. It is important that any advanced breathing techniques be learned and practised under the supervision of an experienced teacher. Over-practice or incorrect practice can cause side effects: too much downward pressure on the lower abdomen can cause haemorrhoids, and too much upward pressure on the stomach can contribute to acid reflux. Reverse breathing is not recommended for those with high blood-pressure. “Dantian” is usually roughly translated as “elixir field” since it is considered a valuable energy center, a place of healing. There is a very important acupuncture point on the lower spine called the “Gate of Life” which can be stimulated by Dantian breathing, as can the kidneys. In Chinese medicine, when the kidneys are stimulated, our entire body’s vitality and energy will improve. While there are three major Dantian in the body, the one referred to in Dantian breathing is the lower Dantian, a major energy center found slightly under and behind the navel. helpline_mindhealth_04 (1) Created with Sketch.